In order to move to the self-hosted wordpress, you need to buy a web-hosting plan. We currently do not offer shared-hosting solutions but we can surely recommend few. 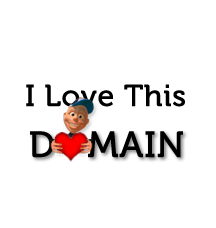 On purchase of hosting from ILoveThisDomain, we will provide you our free migration service (only if you have not more than 100 posts in your Blogger.com blog). 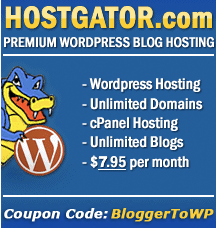 HostGator Plans starts from $3.71/month only if you use our promo code BloggerToWP which gives you 25% off on all plans. HostGator offers unlimited disk space and bandwidth on all their shared-hosting plans. Update: You can get a whooping discount of USD 25 on our migration services (no matter how many blog posts you have), On purchase HostGator hosting using our promo code. Read this for more details. 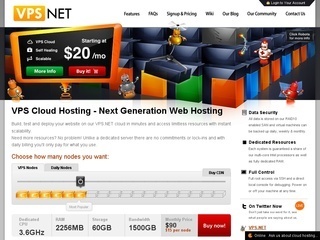 You can purchase hosting from DreamHost by using our Promo Code B2W.